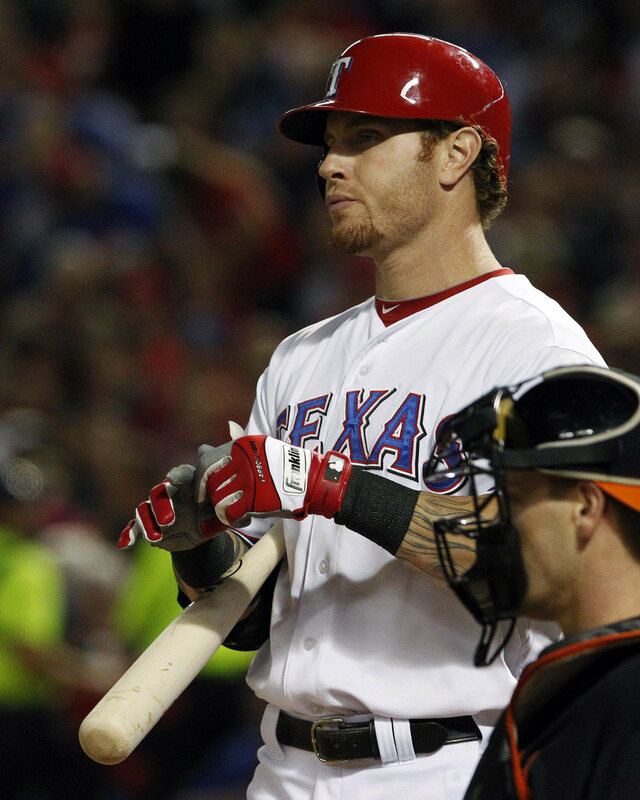 Where will Josh Hamilton sign? The big prize this offseason is the man pictured above, Texas Rangers outfielder Josh Hamilton. While Hamilton does have his flaws, he has had multiple injury problems over the years and those past drug and alcohol addictions are something to consider as he has had relapses, he is without question one of the elite bats in the game and the American League MVP just a couple seasons ago. So, the question at hand, wherw will Hamilton go? You may have noticed where I am going with this already, but I do not think Hamilton will not re-sign with Texas. It has been reported that Hamilton is leaning toward staying but I think the Rangers will want to work on their pitching staff and go hard after Zach Greinke and then in turn find a cheaper replacement in center, like B.J. Upton for example. A possible connection that a lot of smart baseball guys are thinking of is Hamilton going to Atlanta. Hamilton is from the Southeast, the Braves will have a hole in their lineup with Chipper Jones' retirement and if Michael Bourn signs elsewhere, there will an open slot in their outfield. But there are two reasons why I think that Hamilton will not be doing the tomahawk chop anytime soon. First off, the Braves are not frequent high rollers in free agency. Second, as Danny Knobler notes, Atlanta already has a heavily lefty lineup and with Juan Francisco likely taking third base after the aforementioned Jones retired, that would make for an overwhelmingly lefty lineup, which teams often try to avoid. A chic club that people are pointing to that could make a run for Hamilton is the Milwaukee Brewers. You think a Ryan Braun-Josh Hamilton combination in the middle of that order would be imposing, especially for a club that finished the season so strong where they almost made a run at the N.L. Wild Card. And a big connection is Brewers hitting coach Johnny Narron, who was Hamilton's life coach off the field for five seasons before this season. But I do not think Hamilton will end up in the Brew City because I think the fact that they are a small-market club and have limitation on what they could spend as compared to the big market clubs. So I bet you are guessing where I do think Hamilton will sign, as they are seen as a likely match but not one of the favorites, as far as I can tell. The Baltimore Orioles. They have a lot of money to spend, as Peter Angelos has been willing to open up the checkbook in recent years to get guys to come to Baltimore (of course they were often unsuccessful because the team at that time sucked). Plus, the team is on the rise, fresh off a playoff appearance for the first time since before Monica Lewinsky was a household name. And, they have a hole in the lineup, as they just refused Mark Reynolds' option, and by bringing Hamilton into town they can move Chris Davis to first base permanently. And Hamilton may want to stay in the American League so that he can utilize the designated hitter if he has some more injury issues. I am predicting Josh Hamilton to sign in Baltimore, but I am sure to be wrong so don't take my predictions to the bank because I am tired of dealing with lawsuits with people betting on my doomed predictions.